You can make your payment without a Paypal account. Select your items for purchase use the checkout button (not the yellow Paypal Express button.) Continue through the checkout process selecting the paypal method. 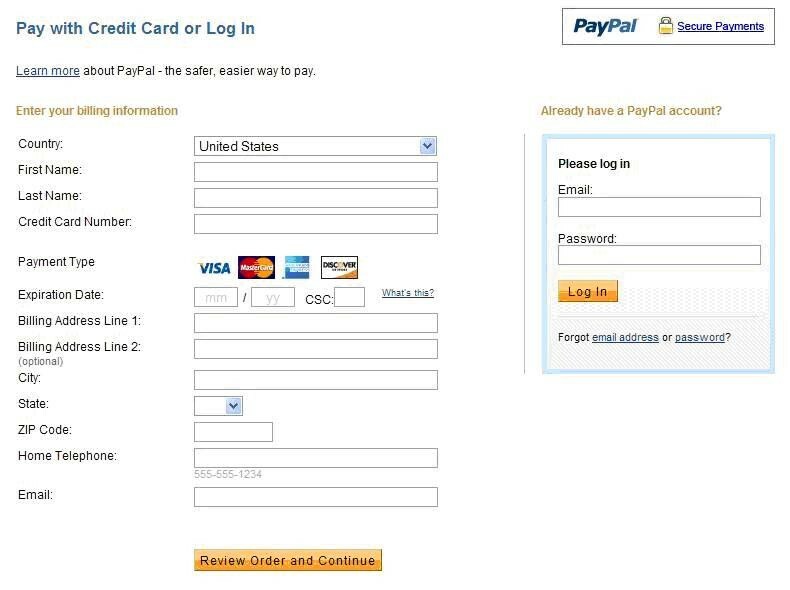 When you get to a paypal log-in screen click on the continue button in the middle of the left hand side of the page, or you will see the second picture below where you can input your information and pay securely without a paypal account. Once you click on continue, it will bring up the following page where you can pay securely without creating a paypal account. Just enter your information on the left hand side of the screen and hit review order and continue.